All DVDs on Sale – Only in January! For the entire month of January we have been offering major sales on our books, calendars and DVDs. Some prices are as low as $5! Visit our Community Bookstore to see how much we’ve dropped prices. Every DVD is on sale too. We have over a dozen documentaries and films about permaculture, green building, regenerating community, and personal stories from those who explored and experienced intentional community themselves. Until the end of the month, every DVD is discounted! What better time than this winter to fill up on inspiring films? SEED: The Untold Story is an award-winning documentary about the dramatic loss of seed diversity and the future of our food, from the filmmakers behind Queen of the Sun: What are the Bees Telling Us? and The Real Dirt on Farmer John. 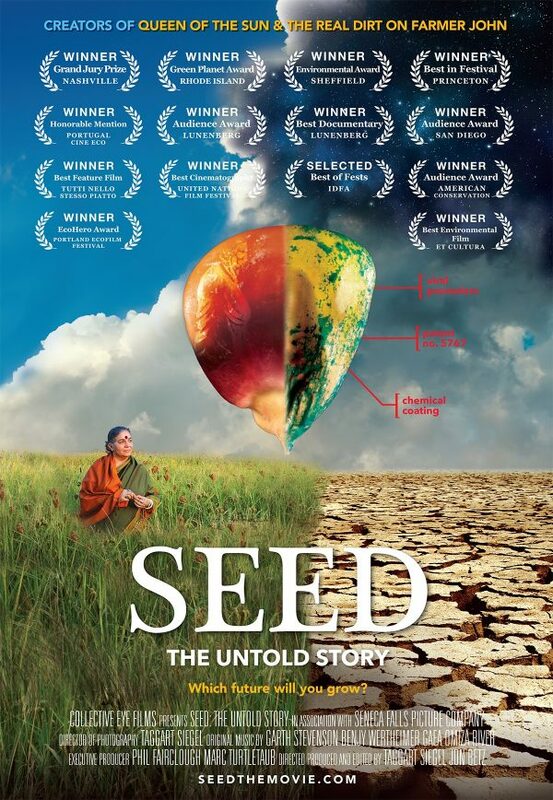 SEED features Vandana Shiva, Dr. Jane Goodall, Andrew Kimbrell, and Winona LaDuke. Voices of Cohousing: Building Small Villages in the City is a documentary that takes a look at and interviews 14 pioneering cohousing communities in Europe. Each group offers unique contributions to designing improved urban living. Power of Community: How Cuba Survived Peak Oil tells the story of the Cuban people’s hardship, ingenuity, and triumph over sudden adversity through cooperation, conservation, and community. Hailed as a glimpse into the future of peak oil for all of us, Power of Community goes a long way to turning our anticipation of the future from fear to hope. Along the way, we get a compassionate and lively look at Cuban culture. Finding Happiness is a film about a skeptical yet curious investigative journalist named Juliet who is sent on a mission to profile a unique community in northern California. What she learns on this professional and personal journey opens her eyes and changes her life forever. Inhabit: A Permaculture Perspective is an inspiring feature length documentary that explores various permaculture projects, concepts, and people around the United States. What emerges are themes and messages that become accessible to a diverse audience that will leave you feeling inspired and called to action. Sale Ends January 31 – Don’t Wait! Be sure to see the entire list of sale items at Community Bookstore. to the FIC today! Your support furthers the intentional communities movement and makes community accessible to all those who seek it.